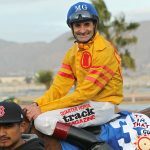 Tf Im That Guy parlayed a quick getaway into a major win in the 17th running of the $350,000 Championship at Sunland Park (Grade 1) on Sunday. 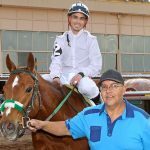 Under red hot jockey Manuel Gutierrez, Tf Im That Guy got a huge jump on 2016 World Champion Jessies First Down at the start and that was the key to victory for the 4-year-old First Down Dash stallion. Tf Im That Guy took control of the lead early and kept firing. The 7-1 shot held off a late rally from Once Over to win by a neck. 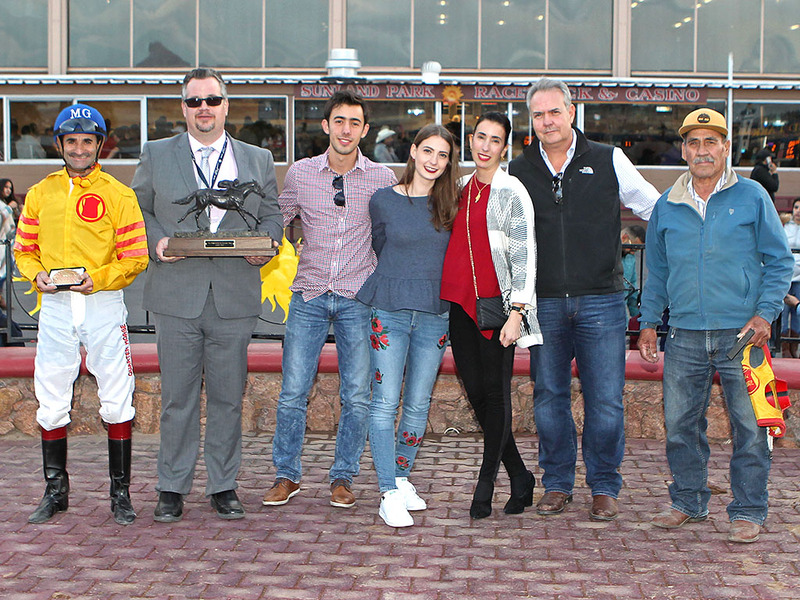 Tf Im That Guy ran a flawless race and earned a much deserved victory for trainer Lorenzo Vega and owner Victor Diaz. He clocked the 440 yard distance in 21.49 seconds, good for a 94 speed index. The impressive stallion prospect earned $162,330, pushing his rich bankroll to nearly $700,000. His sterling record stands at 6 wins, 5 seconds and 5 thirds from 24 starts. The winner paid $17.40 on a $2 win ticket. Tf Im That Guy earned a measure of revenge over arch rivals Jessies First Down and Once Over who had outrun him this year. 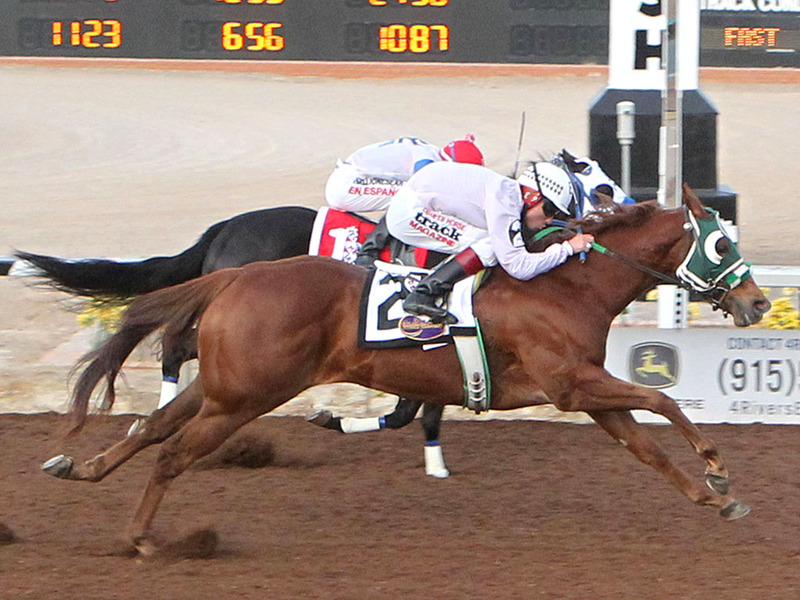 2016 West Texas Maturity winner Once Over was flying in deep stretch but came up just short. The son of Walk Thru Fire had won his last three races. 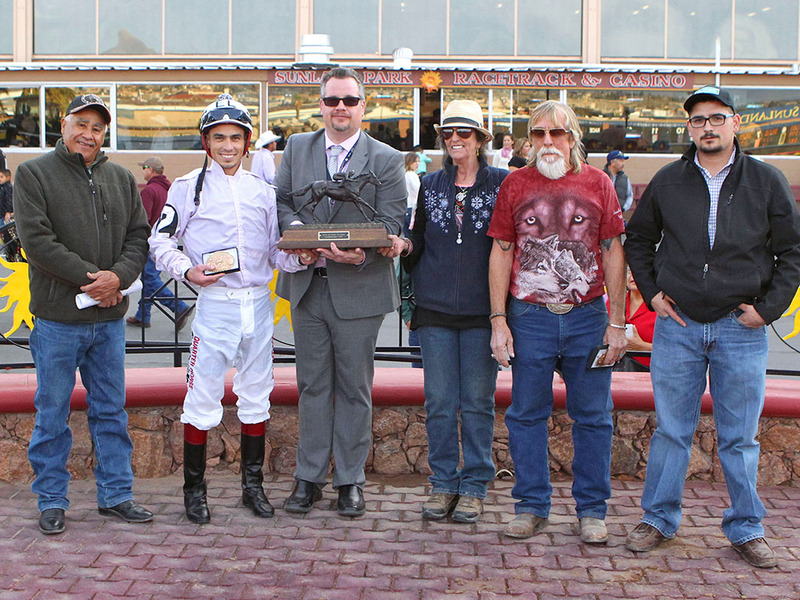 The runner-up earned $64,330 for the Bujanda Racing Stables. 1-5 favorite Jessies First Down broke slowly and was bumped hard at the start. The rocky dispatch spelled doom for the champion son of Fdd Dynasty. He was caught in a deep hole but fought bravely to make up some of the deficit. 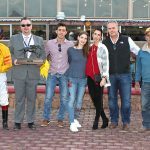 The great gelding closed with interest under jockey Rodrigo Vallejo and mustered a third place finish, beaten a half-length. Jessies First Down ends a big 2017 with 5 wins, 1 second and 1 third from 7 starts. Cobalt Creek was a non-threatening fourth. 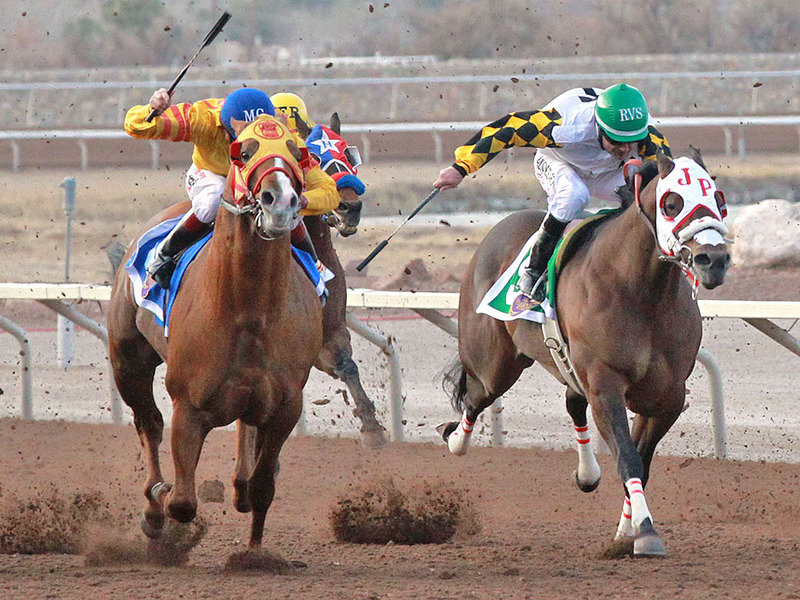 Despain GI posted an upset win at 11-1 odds in the $200,000 Sunland Park Winter Juvenile Championship at 400 yards. 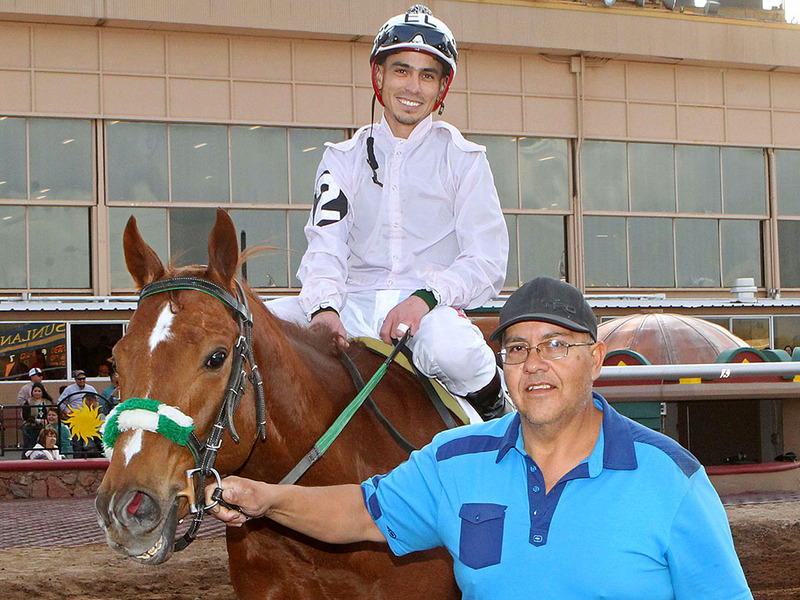 Trained by Rick Robinson, the former Remington Park horse captured the biggest win of his young career. Under jockey Edwuin Lujan, Despain GI dug in with a determined drive to eclipse Believe Me Irene in a photo finish. 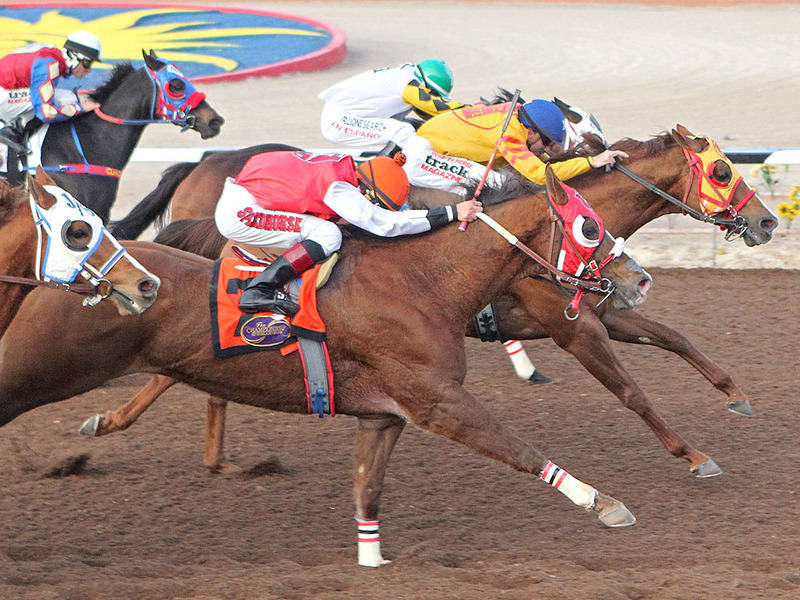 The Heritage Place Futurity finalist produced an energetic performance to win for the third time in 6 starts. The Desirio gelding paid $25.80 to win. 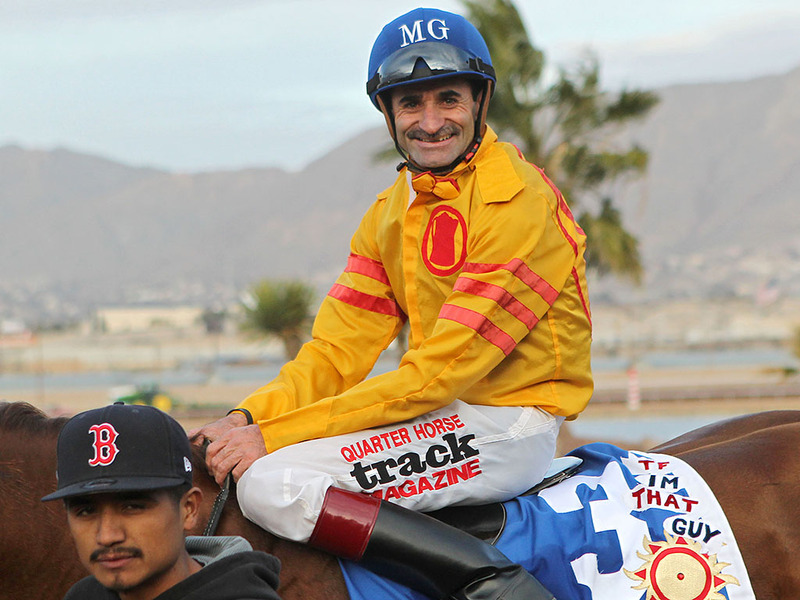 He clocked the distance in 19.67 seconds and earned $120,000 for owner Laurel Garza Partnership LLC. Believe Me Irene finished second beaten a head. 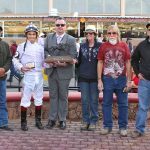 The runner-up led for much the race under jockey Jose Luis Enriquez. 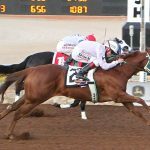 2017 West Texas Futurity winner Suenos Dineros wound up third.